WARREN — Robert Saffold was the first black firefighter in Warren — a huge accomplishment, but there’s another, darker part of the story. Saffold was forbidden from joining the firefighter’s union and was met with racial intolerance when white firefighters on the department didn’t want to sleep in a bed after he slept in it, said Fred Harris, former Warren safety service director. Harris recounted that story and others he experienced personally Monday at the Warren Heritage Center, which hosted its annual Black History of Warren program. 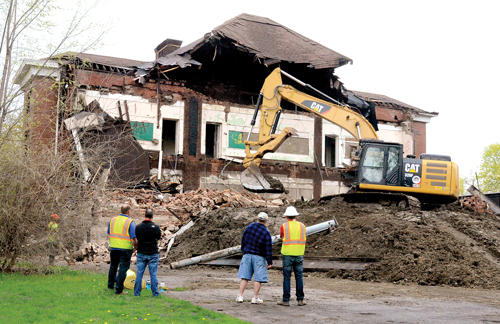 Another program is 6 p.m. today at the center on Mahoning Avenue NW. Harris said he remembers as a child Niles Road was split with blacks living on one side and whites on the other. “As a child I was shy and afraid of the white teachers at elementary school because I did not see many of them in my neighborhood,” Harris said. At theaters in Warren, too, Harris said blacks had to sit on one side and whites on the other. “Too often we talk about the light side told by the victor and not the dark side told by the victim even in the city of Warren … Only some history was talked about. Our history is not always being recorded right,” Harris said. He said much of what he encountered was legal at the time and occurred before the 1964 Civil Rights Act. 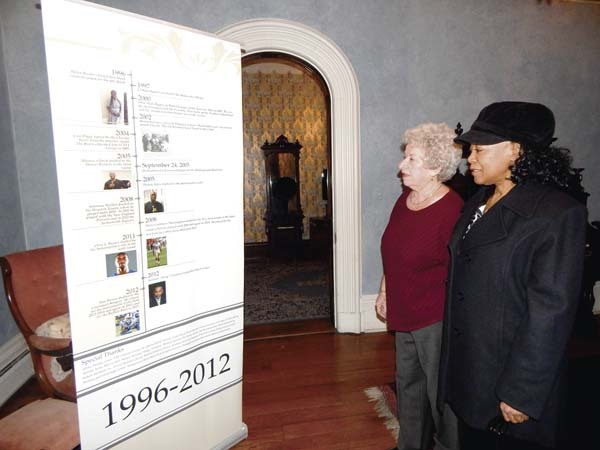 On display at the event are large portable panels that document black history in Warren from 1800 to 2012. The panels, which were funded by a grant from the Wean Foundation, are taken to schools and other public locations. Warren Councilwoman Helen Rucker also spoke about recording history. It’s important, she said, to document stories from family members. “Your grandmother’s Bible is a treasure. Our local library has a collection of original Bibles from local families. Document the old stories by your grandparents because they contain many important tidbits and information on your ancestors,” said Rucker, D-at large. Newspaper obituaries, military records, birth certificates and local church directories all contain sources and information about local history. The center also has many items that tell the history of people in Warren. Next year, she said, there are plants for a history of local black churches at the center.